Plumes of smoke are billowing over the final enclave of the Islamic State. In the dusty, bullet hole-riddled streets of Baghouz, Syrian forces are clearing out the final pockets of resistance. Dejected terrorists continue to surrender to Syrian and Kurdish forces. Meanwhile, their fellow jihadi brothers are going underground in preparation for a guerrilla war. The town on the banks of the Euphrates River is the remaining holdout of a territory that once spanned 34,000 square miles from northern Syria to the gates of Baghdad. At the height of its power, the Islamic State imposed its rule over some 8 million people. It generated billions of dollars through the seizure of Syrian and Iraqi assets, including oil. At its peak, the Islamic State was the wealthiest terror group on the planet. Today, the media reports that 1,000 to 1,500 members remain holed-up in a 20-square-mile pocket near the Syrian border. At least 10,000 fighters remain scattered in isolated regions. An unknown number are abroad as sleeper agents. What comes next for the Middle East? Was the rise of the Islamic State the “high tide” for radicalism? Does the fall of the Islamic State signal that we are nearing the end of the war on terror? The Bible-based truth is the diametric opposite. The fall of the Islamic State shows we are so much closer to the brink of cataclysm in the Middle East. A devastating clash between Islam and the West is imminent. At a glance, the Islamic State’s defeat might seem to contradict this claim. But we need to factor in historic norms alongside irrefutable God-given Bible prophecy. Watch Jerusalem views the world through the lens of God’s Word. It is why we were able to forecast the Islamic State’s fall years ago. It is also why we warn of a far greater danger looming in the region. The Islamic State, with its gun-mounted pickup trucks and motley troops, has been dispersed. But the national powerhouse of terror is alive and well. Long-time readers of Watch Jerusalem know that we identify Iran as the real threat in the region. Despite spending an astounding $5.9 trillion on the war on terror, the United States has done little to counter Iran’s rise to power in the Middle East. As the Islamic State streamed into Iraq, Iran launched a massive cross-border power-grab of its own. The result today is the most powerful post-1979 revolution Iran we have ever seen. This alone proves that radicalism still has plenty of life in the Middle East. But beyond these obvious signs, we also have Bible prophecy. If world leaders could see how Iran is living up to its prophesied role, they wouldn’t be so quick to celebrate the defeat of the Islamic State. Watch Jerusalem highlights this God-inspired prophecy that was first recorded by the Prophet Daniel. It is a warning written thousands of years ago, a warning that a Middle East power would rise up to instigate World War iii. Daniel called this power “the king of the south.” It is an Islamic power that aggressively wields influence in the Middle East. Watch Jerusalem identifies the king of the south as radical Islam, led by Iran. There will be a clash between this “pushy” power and a threatened European power to the north. 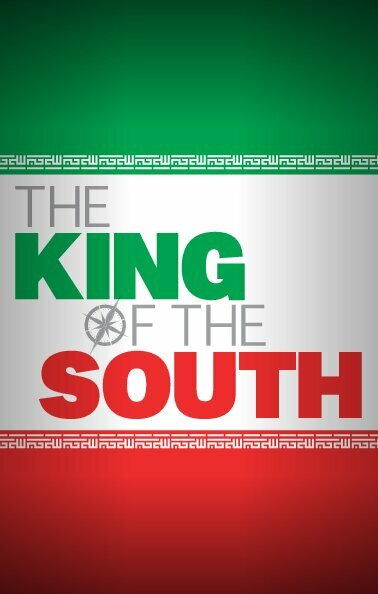 Our free booklet The King of the South covers this biblical subject in detail. Of course, the Islamic State’s defeat is cause for celebration. The world is better off without this caliphate and its barbarism. And its destruction is a victory for the West. But as great a victory—if not a greater one—has been won by Iran. The Islamic State was merely a tool Iran created. Now that it has served its purpose, Iran is happy to discard it. The Islamic State emerged from al Qaeda, which was founded by an Iranian terrorist. Al Qaeda in Iraq and its leader, Abu Musab al-Zaqawi, received financial aid as well as material and technological services from Iran’s Ministry of Intelligence and Security. This went on for 20 years! The Islamic State was a distraction to give Iran the means to fulfill a series of regional and international objectives. In “The Islamic State and Iran: On the Same Team,” our sister publication, the Trumpet, wrote, “It is dangerous to assume that Iran thinks the same way about the Islamic State as the West does. The truth is, the Islamic State’s rise has proved enormously beneficial to Iran, the world’s top state sponsor of terrorism” (July 2016). The Islamic State’s quick expansion and bloodthirsty flair for the dramatic seized headlines. Beheadings, live immolations and other ghastly acts gripped news feeds across the world. Nuclear negotiations and ballistic missile tests by Iran seemed dull compared to the graphic stories of Jihadi John and his ilk. The Islamic State stole the terrorist spotlight from Iran. Much to Tehran’s delight, the world lost interest in Iran’s radical policies and actions. Then, there was the excuse for Iran to get involved in Iraq and Syria. With the terrorists on Baghdad’s doorstep, Iranian Shiite militias were established under the guidance of Qassem Suleimani. The initial jubilation of Iraq’s Sunnis and Kurds turned to panic as the militias began to purge towns of both terrorists and Sunnis alike. The Shiite war machine rolled into Syria, carving an Iranian path through the desert. Disenchanted and openly hostile to America, the Iraqi government accepted the militias, even integrated them into the Iraqi military. Even though the terrorists have been routed, the militias are there to stay. Iran now controls territory stretching from Tehran to Syria. Troops and armaments flow uninhibited along this corridor. Iran has all but connected itself to the embattled Syrians and Hezbollah. Because of the Islamic State, Iran has found its way to Israel’s northern border. Content in its newfound position of dominance and no doubt happy with the gains of the last few years, Iran is casting aside its worn-out terrorist tool. Iran has managed the Islamic State’s rise and fall. It has wielded the group effectively from start to finish. Now what? Well, Iran has its land bridge. It sits on Israel’s border. It has clout and regional hegemony. It has its nuclear program. Iran is ready for more direct confrontation. Iran will gladly allow the Islamic State to continue its rampage of carnage and violence because it serves as a distraction, a distraction from Iran’s rapidly developing nuclear program. Make no mistake about it—Iran is by far the biggest Islamist threat. Despite the Islamic State’s appalling barbarism, Iran is still the number one state sponsor of terrorism in the world. Distracted by the Islamic State, American and Europe have paved the way for the maniacal nation of Iran to get the nuclear bomb. Could the fall of the Islamic State mean that Iran no longer needs this distraction? If that is the case, Iran must be in place for its next move, or very close to it. And Iran has shown time and again that what it really wants is nuclear bombs. We have decades of proof. And as Mr. Flurry wrote, the world has been distracted by the Islamic State. Who knows what Iran’s nuclear program has accomplished in the shadows. And what most people still do not understand is that Iran rules the Middle East! And they are going to drag nations into war! I mean, look at where they’re going and how they’re “pushing,” as Daniel says, over and over and over. And it could bring the whole world into a World War iii, because they’re about to get nuclear bombs. Click here to request your free copy of The King of the South. It all happens “at the time of the end.” Daniel himself didn’t understand what these prophecies mean (Daniel 12:8). But God has revealed their meaning now because they are for the times we are living in today (verse 9). Gerald Flurry wrote the first edition of The King of the Southmore than 20 years ago. God has been warning of Iran’s rise and the events it will kick off with nuclear power in its hands. It is now at the door! Today, it is plain that Iran is king in the Middle East. Even putting aside Bible prophecy, it is evident that Iran is in control! Iran has used the Islamic State to increase its own power. Rather than terror being defeated, the fall of the Islamic State shows that terror is on the rise! It is all coming to a dramatic conclusion in your lifetime! Read about it in our free booklet The King of the South. Do you want to see through the geopolitical haze and get to know the great God who prophesies these events and can save you from them? If so, this booklet is for you.